This is my final post in the fall series with LuLu*s and today we’re tackling the sporty trend. Slouchy & track-style pants are totally in for the season, which is a major bonus for those of us who crave comfortable pieces that still look stylish! I personally like to add a heel when wearing looser-fitting pants because it elongates the leg line & adds a feminine touch. 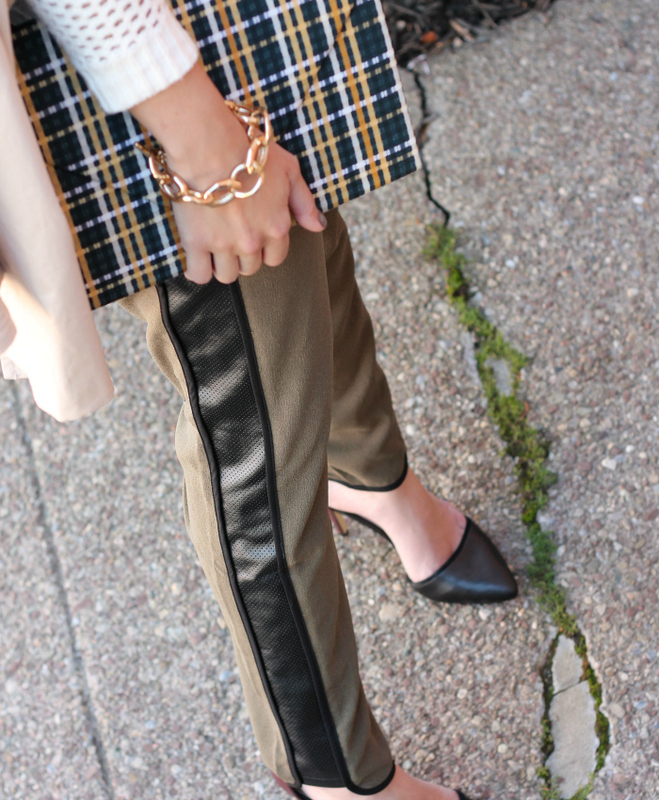 These pants have such a modern feel & I love the faux leather detailing on the side. I chose to pair them with more tailored pieces to balance out the sporty vibe, but you could just as easily wear them with a graphic tee & leather jacket for a cool weekend look. I hope you’ve enjoyed this week’s posts & have gotten some good ideas for how to style these new trends with pieces you already own. Thanks so much to LuLu*s for partnering with me!